Life in China gets easier and easier and much of this new-found convenience has to do with the apps on your smartphones. Here are a few of the essential apps you need on your devices if you're going to be in China. 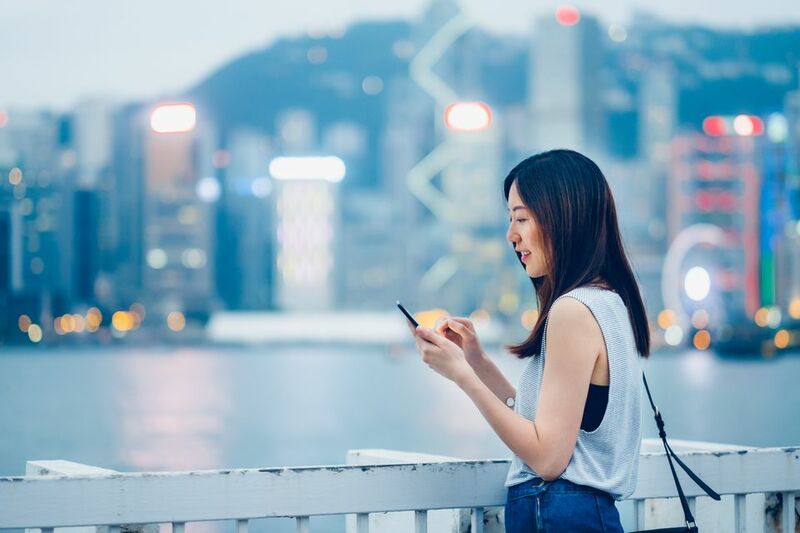 If you’re going to be using your smartphone in China and you’re going to be here for more than just a few days, we highly recommend downloading WeChat. This app is ubiquitous in China. While it is mostly used for social media among friends, it is also a great communication tool. You can use it to communicate to your tailor (each of you has a “translate” button so you can message in English and your tailor can message back in Chinese…and you’ll understand 90%). If you’re planning to be in China for a longer period of time, WeChat is essential. And if you’re living here, get your bank account set up and then link it to the wallet function within WeChat. More and more things can be paid for by this app making cash seem obsolete. This great app is available for Beijing, Shanghai, Guangzhou, Suzhou and Shenzhen – and you don’t need multiple apps, you can change the city within the app. This is great for figuring out where to eat and drink as well as other venues like “swimming pool” or “antique market”. The listing gives you a function to show the taxi driver in Chinese so you won’t be stumped once you sit down in a cab. Note: the information on this app can be outdated (things change fast in China). If you can call ahead, it’s advisable. Those of us who live here are addicted to this app. It gives you the Air Quality Index (AQI) for wherever you are in China or the nearest big city. You’ve heard about it: the air pollution is bad in most of China. Use the AQI index to help you gauge whether or not to take that morning run outside or hit the gym. The app works similar to weather apps by showing you the local AQI for wherever you are. But you can add cities to your listing so you can follow the AQI of other places you may be traveling. Notice when you use it that there are several car choices at the bottom of the app. “People’s Uber” is the least expensive option. “Uber Black” is the most expensive. As of the writing of this article, Uber’s network in China covers the following cities, making it very convenient to visitors, especially business travelers who are more likely to be in big cities: Chengdu, Foshan, Guangzhou, Hangzhou, Hong Kong, Jinan, Macau, Qingdao, Shenzhen, Guiyang, Tianjin, Wuhan, Yantai, Beijing, Chongqing, Dalian, Nanjing, Ningbo, Shanghai, Suzhou and Xi’an. You won’t be able to use Facebook, Instagram, Twitter, Google or YouTube and you won’t be able to read the New York Times or the Wall Street Journal online without employing a VPN on your devices. If you’re going to be in China long-term, we advise paying for a service such as StrongVPN or Astrill. However, Betternet is a free VPN that works reasonably well and there’s no reason for a service if you’ll only be in China for a short time. If you’re going to be trying to decipher Mandarin, you’ll need a good dictionary. We like Pleco. You can look up words in English for the translation and you can also look up words by inputting pinyin or Chinese characters. It also has a function that pronounces the word or phrase. There are a lot of currency converters out there but the one we like best is called Currency. The app’s interface is very easy and you can input multiple currencies. For ease in China, just input your home currency and the RMB and you’ll be able to decipher prices quite easily. Waygo uses the camera on your phone to capture Chinese words and translate them into English. The translations can be a little wonky but at least you’ll know if what you’re ordering is pork or donkey. Planning a Visit to Shanghai's Disneyland Resort? Here's What to Know.